Why was Six Flags built in Cobb County? The 50th anniversary of the Six Flags Over Georgia amusement park is this year. Since its opening in June of 1967, Six Flags has dominated the part of Cobb County south of Mableton Parkway. Five major roads around the park contained “Six Flags” in their names until four of them were renamed in 2014 to reduce the confusion. But why was south Cobb chosen as the location for Six Flags to begin with? Until the amusement park was built the area was rural. In fact, one of the big news stories during the building of Six Flags was a moonshining arrest on an adjacent property. When it was first announced that the Dallas-based Great Southwest Corporation planned an amusement park in metro Atlanta, Mayor Ivan Allen of the City of Atlanta announced that it would be built in Fulton County. The Great Southwest Corporation was founded by Angus Wynne, the Texas entrepreneur who had developed the lucrative Six Flags over Texas. He began envisioning an expansion into Georgia in the early 1960s, to further capitalize on the success of the Texas park. There were two main factors that brought Six Flags to Cobb County: The building of I-20. and county commission Chairman Ernest Barrett. I-20 was built as part of the national network of highways mandated in the Federal-Aid Highway Act of 1956, passed during the Eisenhower administration. Lucius Clay, originally from Marietta, was appointed by Eisenhower to chair the committee that mapped the interstate system. I-20, I-75, and I-85 were routed through Atlanta, ensuring that metro Atlanta would continue to be a major ground transportation hub even after the decline of the railroad. But two of the three original interstates passing through Cobb County also contributed to Cobb’s growth. By 1965, when the practical planning for Six Flags was well underway, the section of I-20 running through the City of Atlanta and into Cobb County was completed. A trip to south Cobb that might have taken an hour from the heaviest population centers in Atlanta, depending on traffic, now took much less time. Ernest Barrett was first elected chairman of the Cobb County board of commissioners in 1965, and served five consecutive terms, his final term ending in 1984. In October of 1965, Barrett quietly led a delegation to Texas to lobby for Six Flags to be built in Cobb County. The delegation included Commissioner Bill Oliver, and Harold Nix, who was the special projects director for the Cobb County Chamber of Commerce. 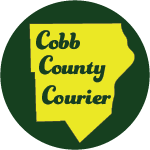 John C. Hunt, who was a vice president of the Great Southwest Atlanta Corporation (a subsidiary of the Great Southwest Corporation that owned Six Flags over Texas) was impressed by the Cobb delegation’s eagerness to attract the project. He was also influenced by the large water and sewer line that already served the south Cobb area. So the Great Southwest Atlanta Corporation quietly purchased seven large parcels of land totaling 276 acres. The owners of some of the parcels were Atlantan Hue Lee, the Chattahoochee Brick Company, and Cobb County school board member Sollie Cole. As part of the agreement with the county, the company promised to spend $7 million in amenities in and around the property. Six Flags opened in June of 1967, nearly 50 years ago. Hollis, Tim. 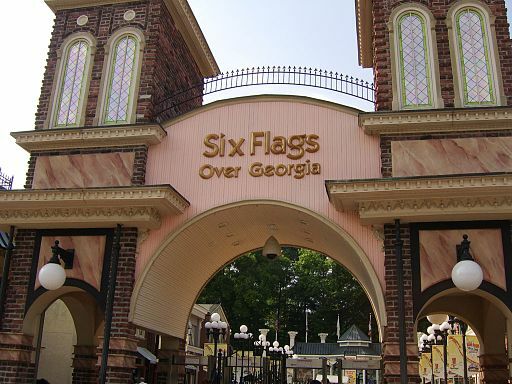 Six Flags Over Georgia: Images of America. 2006. Scott, Thomas A., Cobb County Georgia and the Origins of the Suburban South, 2003. Toon, John D. “Interstate Highway System.” New Georgia Encyclopedia. 21 April 2017. Web. 25 May 2017. Be the first to comment on "Why was Six Flags built in Cobb County?"